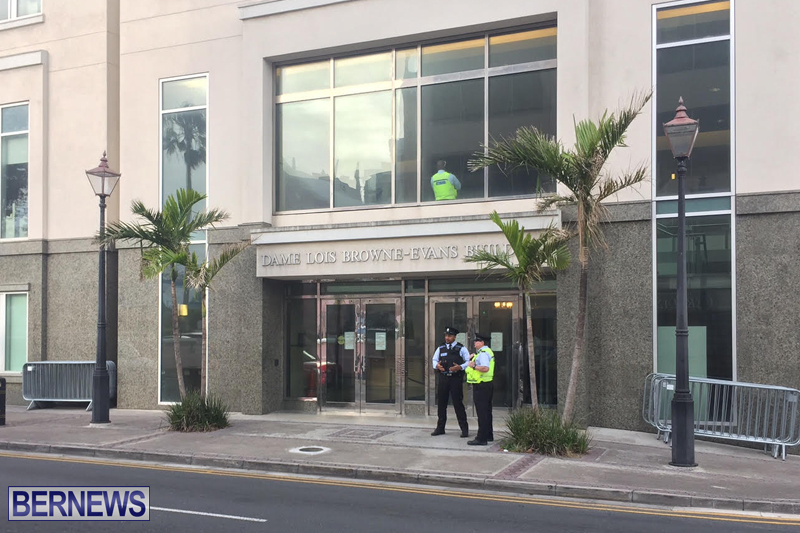 [Updating] A few police officers can be seen outside the Magistrates Court building this morning [April 5], as the first defendants charged with alleged offences in relation to the protests on December 2, 2016 are expected to appear in Court. Yesterday the police said, “Summonses have been issued in relation to the protests at the House of Assembly on 2nd December 2016. The defendants in these cases will appear in Hamilton Magistrates’ Court on the 5th, 7th, 10th and 12th April. 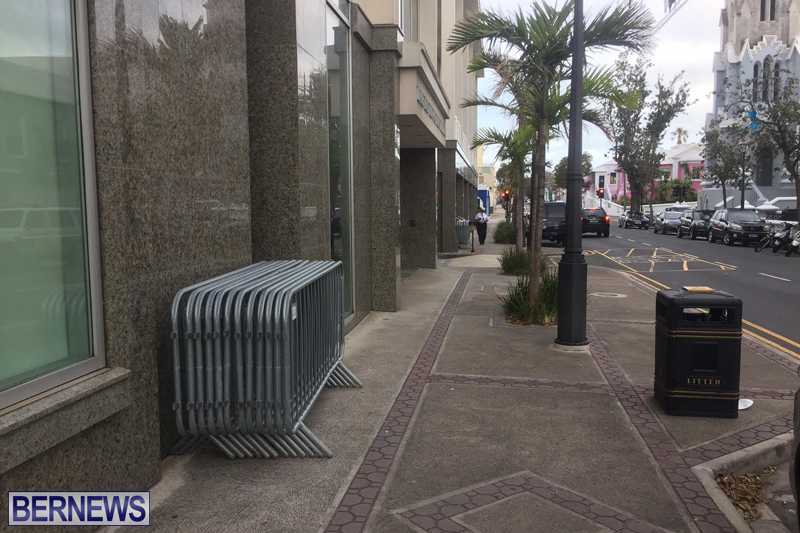 This morning’s session will be a ‘Plea Court’ session, meaning people typically appear, the charges are read out, the person pleads guilty or not guilty, bail conditions are set, and a new Court date is set for the matter to proceed. We will update as able. Update 9.32am: Everything remains the same, a few police officers outside, with no one else visible. We are also inside now, waiting for the Court session to begin, and can also see police officers inside. Update 9.52am: People are starting to sit down in the public area of the Court room. Update 9.59am: A group, holding signs, arrived outside the Court building. A live video can be seen here on Bernews Facebook page, and a screenshot from that video is below. 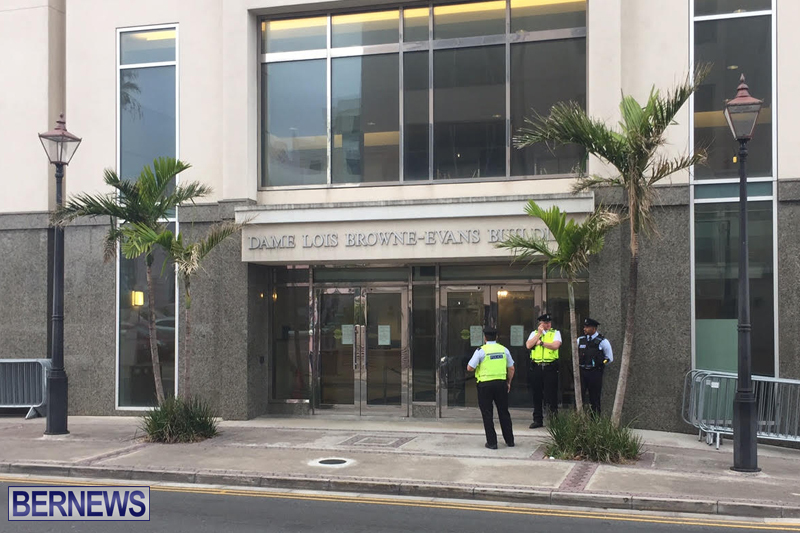 Update 10.06am: We are still live streaming the scene outside, and also have someone inside waiting for the charges to be read. Those we see in the Court room include DPP Larry Mussenden, lawyer and Shadow Attorney General Michael Scott, and people that appear to be Union supporters in the public gallery. Update 10.22am: We are still gathering details and will have a ‘proper’ court report later, however charges being read out include allegedly obstructing a Minister on December 2, 2016, looks like around three people being charged so far today, and they are pleading not guilty. 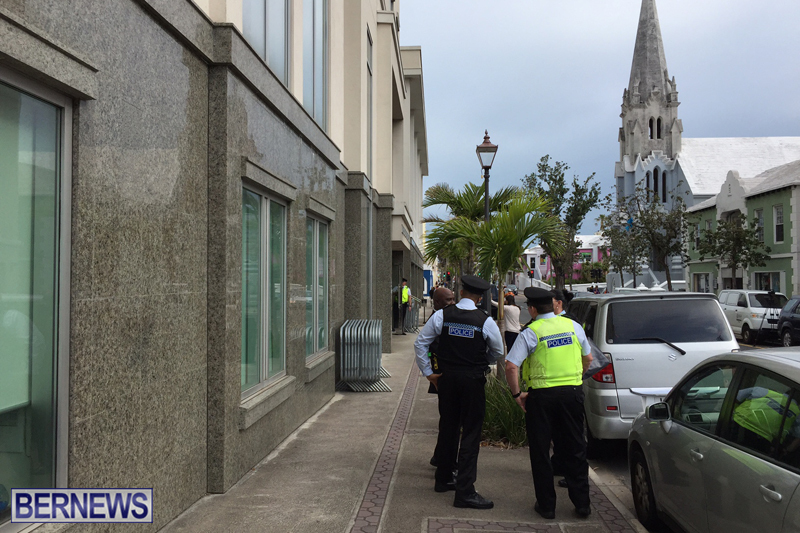 Update 11.21am: Appearing in Magistrates Court this morning, three people denied charges involving preventing entry to the House of Assembly on December 2, 2016, with all three granted bail; click here to read the full story.